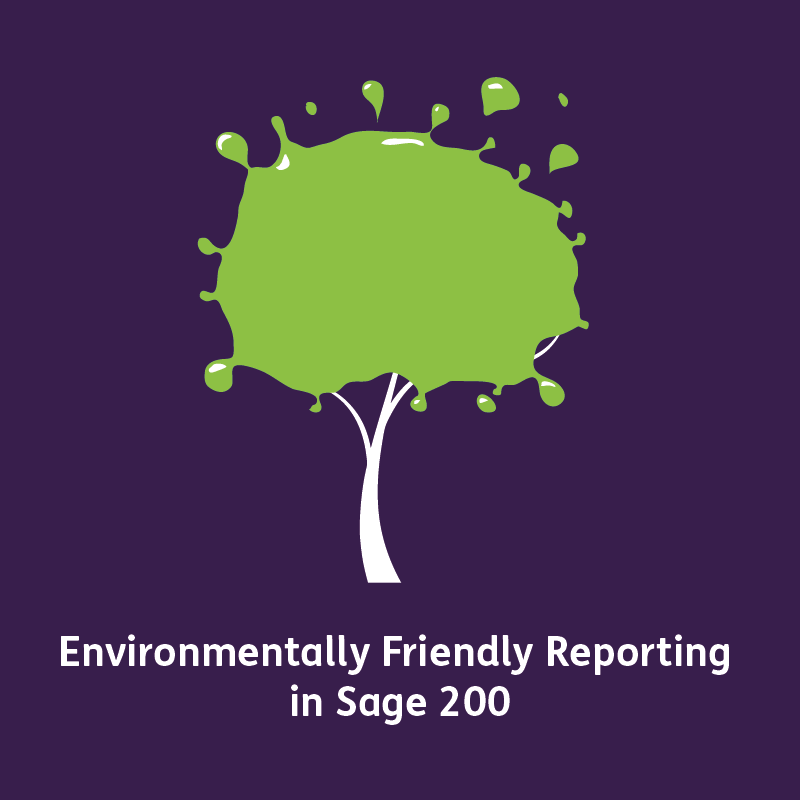 Do you want to improve how environmentally friendly reporting is in your Sage 200 system with our Aged Creditors Report? Use our reduced size Sage 200 Purchase Ledger Aged Creditors Report to minimise the amount of pages you are printing! This is something we here at itas take very seriously. We pride ourselves on getting the best reports out of the Sage 200 system specific to our customers needs, and being environmentally friendly is growing in population amongst our customers. 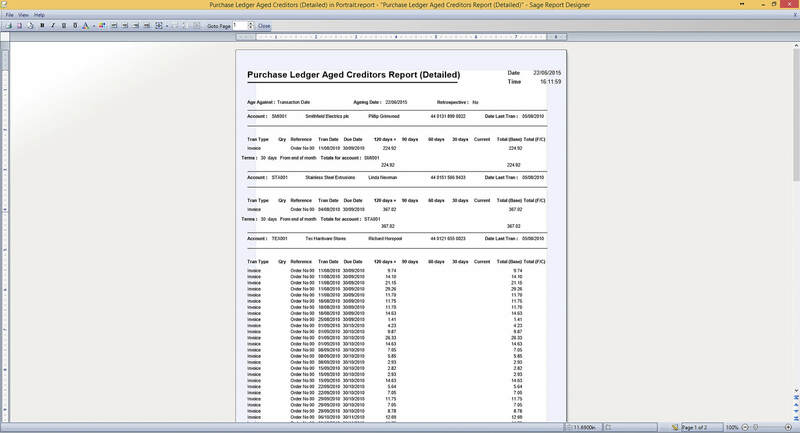 Last week I had a call from one of our customers who was getting frustrated with the amount of pages produced when running the default sage Purchase Ledger Aged Creditors report. I suggested a few different options on amendments we could make to this report to reduce in size, from removing the unnecessary information to moving the existing information into a streamlined format. She noted that she did use all information so the best way forward would be to move the existing information. From here I amended the default report from a landscape page layout to a portrait page layout this almost doubled the amount of suppliers shown on each page which in turn halve sthe amount of pages produced = environmentally friendlier reporting! Finally I showed her the function to export reports and layouts from sage to email. This means that no paper would be needed, even better! Needless to say she was very happy with the changes made and is no longer frustrated! If you’d like to have this report to improve how environmentally friendly your company’s reporting is please fill out the form below and we’ll send you the report free of charge!! If you’d like any more information, Hints and tips or even interested in making these amendments yourself please get in touch as we do have regular Online Report Designer Courses.